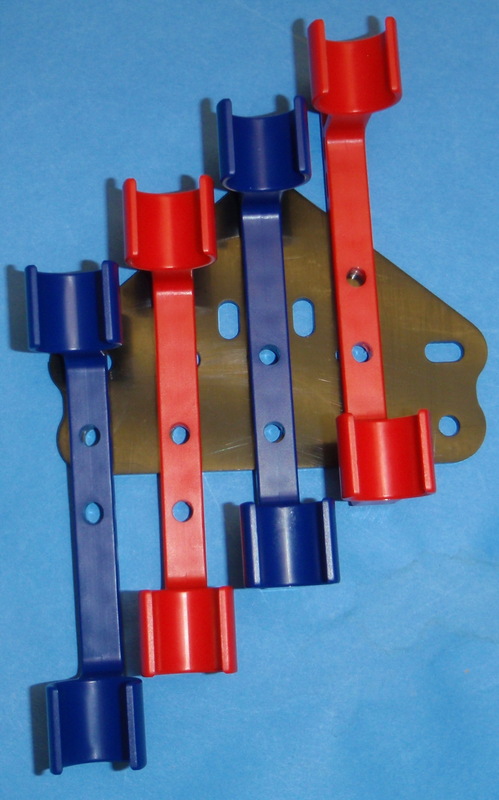 This assembly uses the TWinS system in a medium sized adaptable platform for a main loading system, or as a complement to the FSL systems for slugs or buckshot. 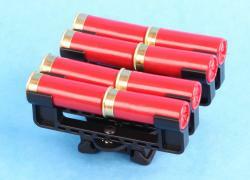 This belt mounted system will allow you to have from 6 to 12 shells on the belt in SSL clips. 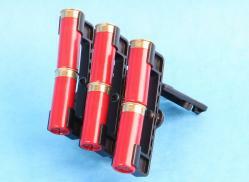 The SSLP with 6 rounds is normally set up for 3 TWinS loads per unit. The configuration of the SSLP8 allows a simple, low fumble-factor way to get going on the QUAD LOAD. The 10 round pinwheel offers the highest number of shells in the least amount of space of any system on the market. If you have a SSLP6 or SSLP8, you can add 1 or 2 SSL clips to it to get a 10 round pinwheel. This allows you to load Quads and TWinS interchangeably off the same carrier. With two SSLP10s, you can basically get 20 rounds in the space of 12 rounds in conventional carriers. Several mounitng options exist. 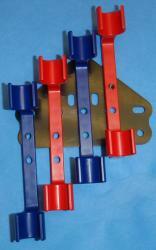 We carry the Tek-Loks and ELS, but the TMMS systems also fit our mount plates. To use your own attachments, select "none" in the drop down. The SSL system was the first, and is still the Gold Standard in the TWinS or Load2 shotgun loading methods. 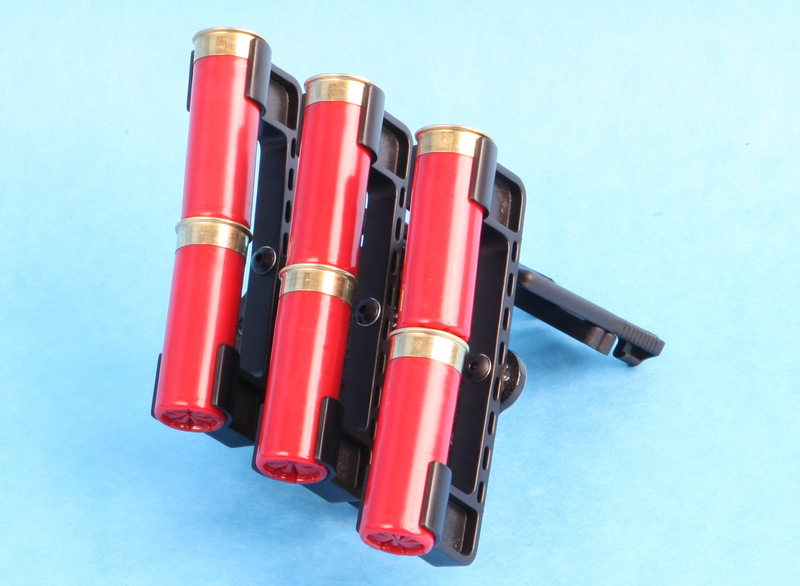 Our injection molded SSL clips have a polymer that is tough and thermally stable while still allowing for excellent retention and the smoothest finish and release on the market. Designed by and for the shooter. The SSL pinwheels offer the most adapability for ergonomic configuration and mounting options of any system on the market. The SSL pinwheel is what changed to game in loading the shotgun fast and smooth. I love the retention that they provide, the way you can mount them in any angle, the strength. I run multiple caddy’s from the 4 (back up slugs), 8’s(loading quads), 12’s(heavy shotgun stages). None of them have failed once. If you want to up your 3 gun game this is the best way to cut time on feeding your shotgun. I run two 12 round pinwheels for 3Gun and tactical shotgun matches. The backer on the pin wheel makes mounting angles truly universal. 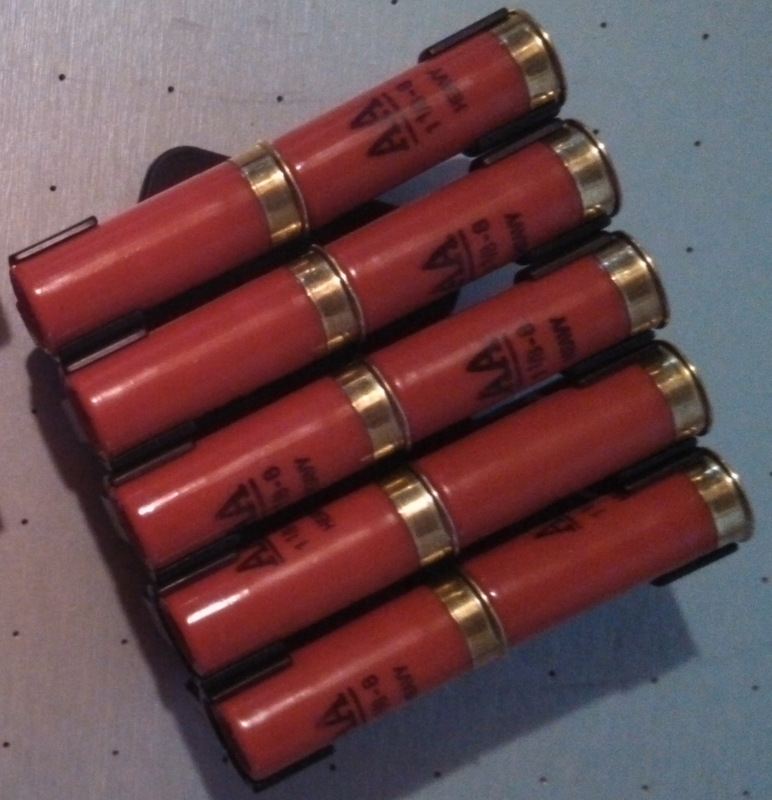 I like how the SSL clips sit nice and close together, and they have the perfect amount of tension to hold the shells. Laying on the ground is no problem with a Carbon Arms SSL Clip. Great Product! I made the switch to the Pinwheel recently (12rd, x2), and I could not be happier. I was running a heavier metal caddie, that while fast, had poor retention. The Carbon Arms system is, in my opinion, the best balance of retention, speed, footprint, and weight. This entire modular system will be the last caddie you'll run, I guarantee it. Loading used to be slow going and a transition from Law Enforcement loading to 3 Gun was difficult. I switched to pinwheels a few months before shooting the 3GN Southwest Regional and was completely comfortable. The transition was so much easier and user friendly. Shells stayed secured on belt even when moving and bending. I plan to increase my capacity by adding additional shell holders but Carbon Arms will be my gear! Take all my money! There isn't any reason not to...! Great product and it is friendly-user! I used to dread shotgun stages but now look forward to them because of the TWinS system. I got this from Mark at the 2011 Blue Ridge match and have cut my loading time by 30% with only a couple hours of practice. Best thing about this system is that it's so quick to learn. Mark and James are 3-Gunners who support the sport. My next order will be the 12rd belt system.